Also known as the cultural capital of India, Kolkata is one of the most significant places in India and has been a major trading and political centre in the past. Hence, there are numerous places around Kolkata, which are testaments to its glorious past and flourishing present. Bardhaman is one such place around Kolkata which is popular amongst tourists for its beautiful temples and gardens. Even though the exact history of Bardhaman is still unknown, it is believed that the ancient settlement on the land of present-day Bardhaman dates back thousands of years before the Christ Era. So, how about planning a wonderful trip from Kolkata to Bardhaman this season? As Bardhaman experiences a tropical savanna type of climate, the summers are not very hot here. Even though it can be visited throughout the year, the best time to visit Bardhaman is from August until the end of March, as during this period, the climatic conditions are favourable. By Air: The nearest airport is at Kolkata only. If you are travelling by air, you can take a flight to Kolkata airport and then from there you can hire a cab to Bardhaman. By Rail: There are direct trains available between Kolkata and Bardhaman. It will take you an approximate time of 2 hours to reach Bardhaman. By Road: Located at a distance of around 102 km from Kolkata, Bardhaman is easily accessible by road. You can either hire a cab or catch a bus directly to Bardhaman. While on your way to Bardhaman, you can take a break at Singur and explore this tiny town. Located in the Hooghly district of West Bengal, Singur is a census town which is situated at an elevation of around 50 feet on the Ganges delta. Even though there are not many places to explore and visit in Singur, you can pay your respects to the beautiful temples located within its boundaries. These temples are the major destinations for locals during the festive season. If you are on your way to Bardhaman from Kolkata and are looking for a break, then Singur is a perfect place to take rest. Eventually, after covering the distance of 102 km from Kolkata, you will be in the city of temples, gardens and ancient monuments. Yes, Bardhaman has in store a lot to explore, ranging from a river beach to the garden of roses. The city of Bardhaman is named after the 24th tirthankara of Jainism, Lord Mahavira, who is said to have spent time on this land. It is also known as the city of peace due to its serene and tranquil surroundings spread across temples and gardens. The delightful aura of a paradise land can definitely be felt within the boundaries of Bardhaman. 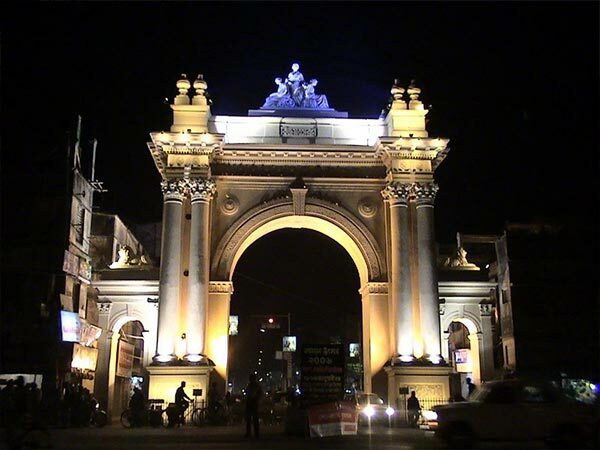 Apart from being a historical city, it is also one of the fast-growing cities in West Bengal. Being a part of the multi-cultural heritage in India, Bardhaman is home to several beautiful and architectural temples. The major places which remain crowded with local tourists throughout the year include Sarbamangala Temple, 108 Shiva Temple, Golapbag and Kankaleshwari Kali Temple. 108 Shiva Temple is believed to have been built during the 18th century and is a complex of 108 Shiva-lingams. The Golapbag of the 19th century is a garden of roses which attracts several tourists on account of its cool and fragrant atmosphere. It is also a major place in Bardhaman for birdwatchers. Apart from all these places, you can also visit the Curzon Gate, Damodar River Beach, Palace of Burdwan Maharaja and Christ Church.